The purpose of this Article is to examine the legislative history of the McCarran Amendment ― the available Congressional Record, the Senate Report, as well as the Hearing Minutes ― in an effort to ascertain whether it was Congress’s intent to include Indian reserved water rights within the scope of the McCarran Amendment. 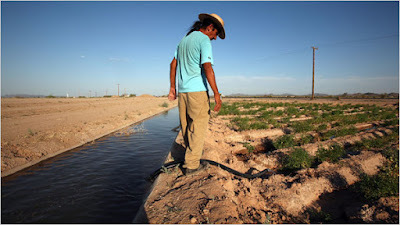 Far from a general waiver, the legislative history reveals that the sponsors of the McCarran Amendment intended to address only this narrow but politically explosive problem where the United States was claiming a “privilege of immunity that the original owner wouldn’t have.” Indian reserved water rights, which are reserved by the federal government in its sovereign capacity for the benefit of Indian tribes that have sovereign immunity independent of the United States, do not appear to have been considered or intended to be included by Congress as the McCarran Amendment was passed into law. For more on Indian water rights, see here.